Very Nice drawings…and smells of a much longer story….dont end it here you lazy bum! hey how come your character looks different now? is it due to the new hair cut? awesome drawings as usual. its indeed very diffrrent from your usual style, very rereshing!!! @jedi: arre I made the characters and names, then realized that they’re all white!! have to put in some Asian people now. @jedi: rose hanna – I skimmed through business pages of nytimes to find names& surnames…BTW ananya isn’t a nobody, I don’t think she will come to this cafe. 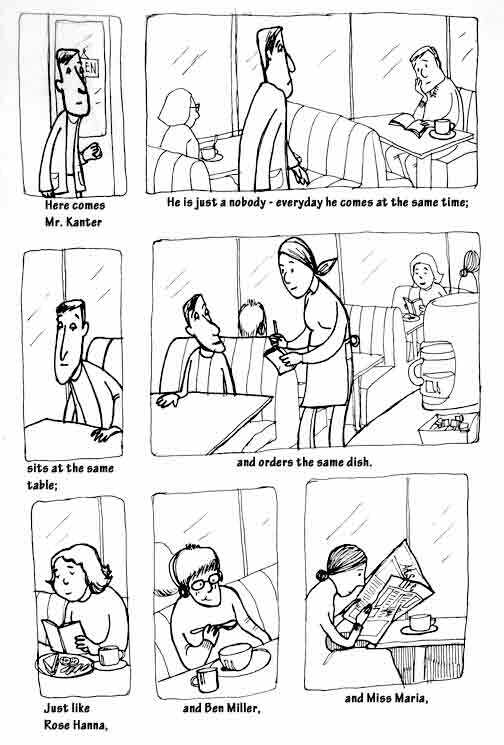 a slice of daily life! evryday i open it for the next,but alas….. This is March and we’re still here??? What happened? 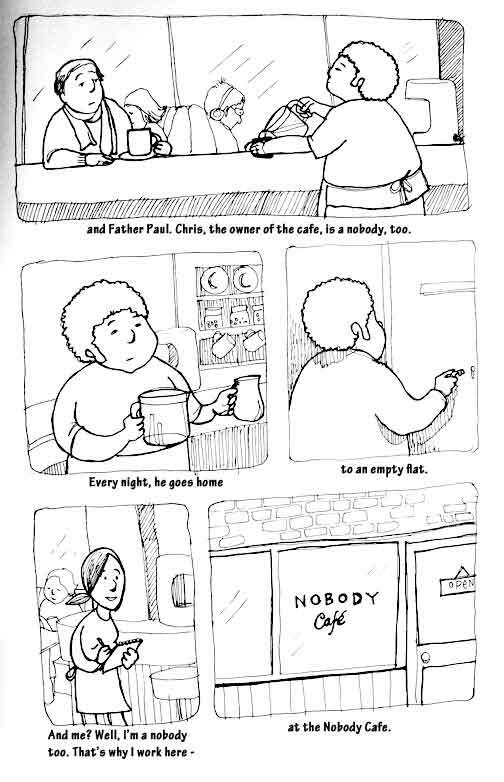 visit nobodys cafe and become a somebody.